5. 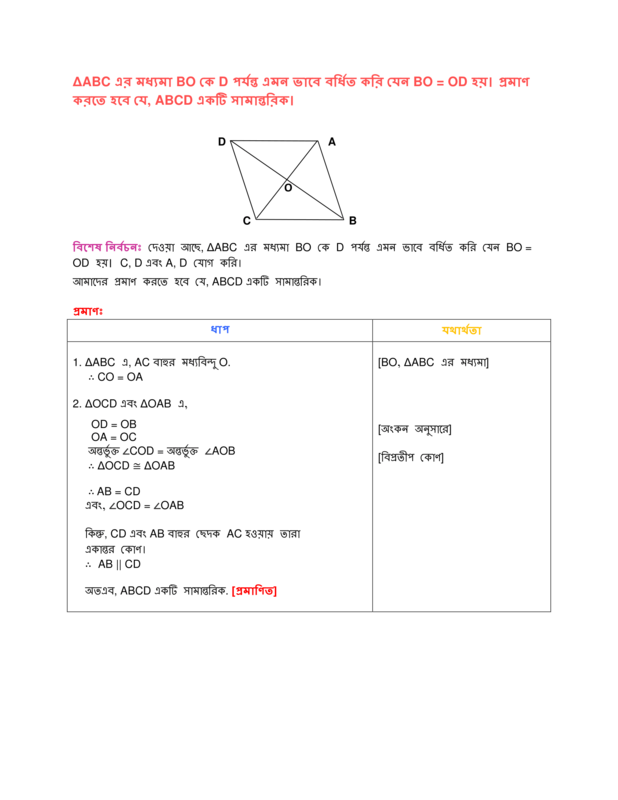 The median BO of ΔABC is produced up to D so that BO = OD. 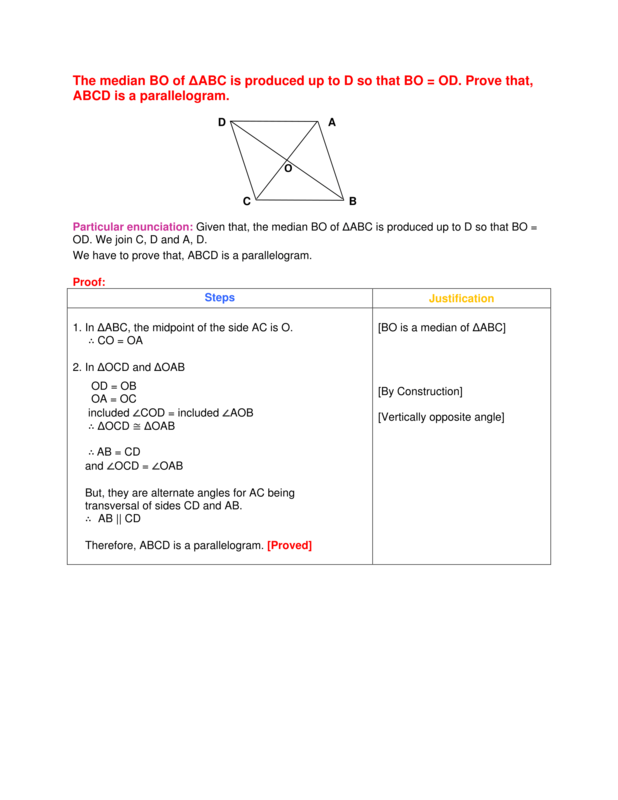 Prove that, ABCD is a parallelogram.